Once again, it’s up to you to save one of your family members who’s gotten themselves into trouble. Stacy Gray was researching the family history when she unwittingly opened a portal to the past, becoming trapped in a town in chaos. It seems your ancestor Victor had created a monster, and the people of Graywitch are up in arms. 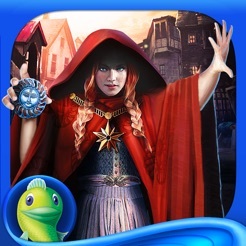 Reach back into the past to save your family in this amazing Hidden Object adventure! 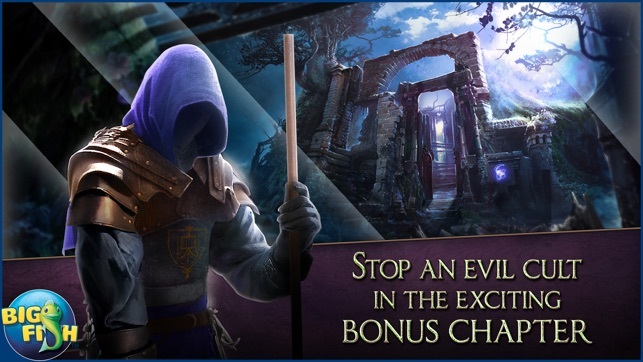 • UNCOVER THE SECRET HISTORY OF THE TOWN OF GRAYWITCH! What mysteries are being hidden in this sleepy little community? And what do they have to do with Victor’s scientific experiments? • CAN YOU STOP THIS TERRIFYING MONSTER? 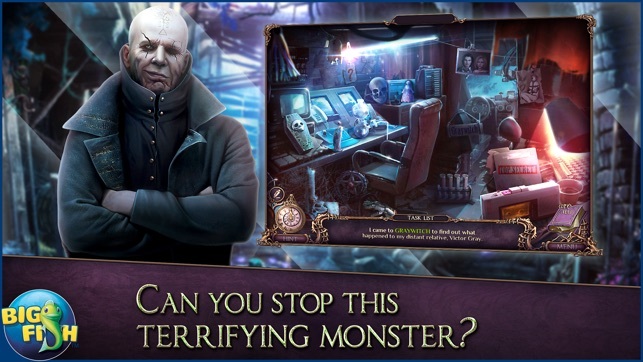 Get to the heart of this mystery through a town full of spooky hidden object scenes. 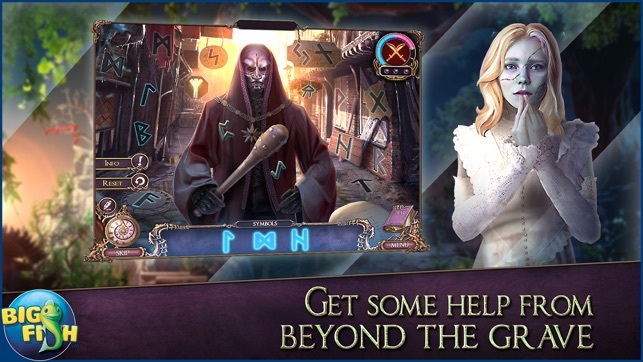 Your ancestor’s ghost is there to help you solve cryptic puzzles and fantastic mini-games. 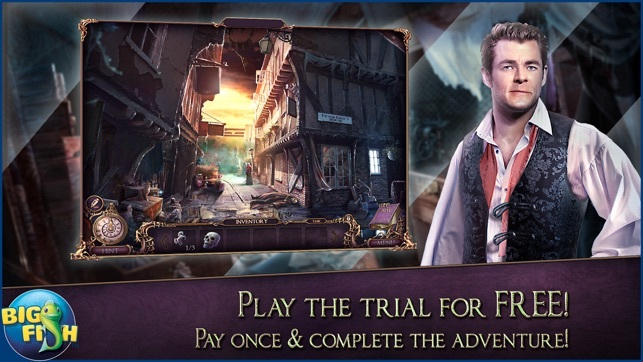 Continue this adventure as another character and enjoy additional Collector’s Edition exclusives including collectible Puzzle Pieces, morphing objects, and more! This is one of the better games I've tried. It has a good map and hint system. There is a LOT of back and forth, so the map is very necessary! Most of the puzzles are okay, but the directions aren't always clear. AND, unlike most games, the hint is on the left and map at the right. So, I accidentally skipped a game, when I was looking for the directions to reread them. Speaking of skipping, I had to skip two games in the free sample game due to poor directions. Will I buy it? Not sure yet. Interesting story line and pretty good artwork overall. The constant having to find shapes to unlock various boxes and panels is getting tiresome. As is having to have exactly the right tool for the job. I thought hacking away at rope with garden shears was a reasonable solution - but I had to wait to find the designated rope cutting instrument before I had success. Overall this lacks imagination and seems fairly pro forma - almost as if the designers were dialing it in. 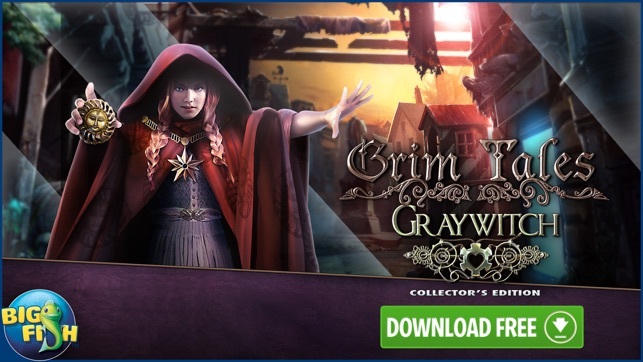 I have done all of the Grim Tales games and regularly play HO games, and I'm not a fan of this one. It suffers from a lame storyline, and plot laziness - a million boxes with a million amulets and other trinkets to unlock them. Must be easier/cheaper to program these unlockable boxes versus coming up with an interesting storyline and real interactivity. It's summer, so I'm hoping BF releases better games in the fall when peeps are back from vaca. Like many other reviewers, I'm getting tired of the subpar new releases lately. Nothing I've seen from BF has been able to top the Five-BN games or the Agent A game imho. Eipix BF games are usually ok but even those lately have been short and poorly written and executed. Request for the game developers-please be sensitive to the patriarchal themes in your games. It's 2017 and most women don't really need or want rescuing.